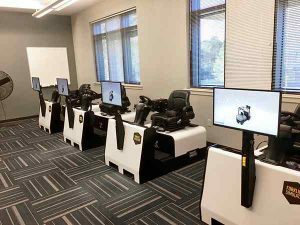 Fort Lee Army Base in Virginia has replaced traditional forklift training by Virtual Reality training. 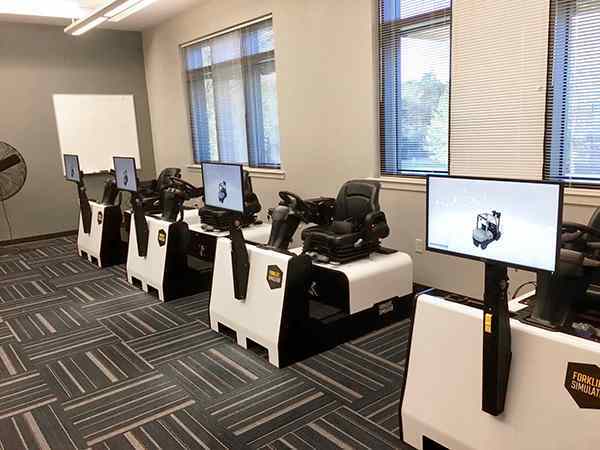 With 4 Sit Down Counterbalance Forklift-Simulators they can train 4 drivers simultaneously without the need of an actual training warehouse and zero risk of damage or injury. Results: A higher throughput at an increased speed with fewer trainers, less risk and better drivers.